Hey you all! It has been awhile (I feel like I have been starting every post off with that, but hey it is the truth). Everything has been so busy! I feel like I have had something almost every weekend until this weekend. Now I got to rest before having something for the next three weekends again. I hope everyone had a great 4th of July! I had no plans until the day before, but I was able to go to Heather and her boyfriend’s friends BBQ and it was so fun! We hung out with good people, ate great food, played corn hole, and sported our red, white, and blue. Where they live is kind of on a hill so we had a good view of a ton of fire works. Leading up to the 4th I had a project in mind. Ever since IGTV came out I’ve been really wanting to try and make a video. I planned out a 4th of July video and had my bfffff help me with it. I really wanted to do sparklers on the beach. I had my red bathing suit, she had her 4th of July tank, and I picked up sparklers from my dad’s, we were all set. We were kind of nervous about using the sparklers on the beach. Fireworks are only legal at Huntington Beach between 12-10pm on the 4th of July. Sooo we ended up chickening out, plus it was super windy, plus it was taking forever for the sun to set, plus we mostly chickened out haha. We ended up doing the sparklers a few days later by the pool so when you see the video pretend it is all in one day (go to my channel on Insta to see it!). Okay so I am new to this video thing and really have no skills. I was so excited to finish it, I added a song, and once I posted it Intsagram blocked it because of the song! Is there a special way to put music on a video? I was trying to research and I read you have to find a non-copyrighted song so I guess that will be my next hunt. I may repost my video with a new song if I find a good one because I had to use the ones available on iMovie and it’s alright. Any tips would be greatly appreciated! Anyways a couple other things, we had my sister’s surprise 30th birthday party last weekend on June 30th and I am so happy it is over! The party was really fun but throwing a surprise party is hard when you live with the person, ESPECIALLY when that person is my older sister (no offense). I am like 99% sure she knew about the party but oh well, it all worked out. Lastly next weekend I am off to Vegas to spend the weekend with my little sister! We are going to do “kind of Vegas” so I ordered a “kind of Vegas” dress (hopefully it gets here on time!). When I say kind of Vegas I mean we are going to a pool at Fremont Street and maybe a couple other places but most likely not mainstream Vegas (unless it leads there). It will be fun! She also said I need to practice talking to boys… she said I have a “why are you talking to me face” that I need to work on (I type this rolling my eyes and probably making said “why are you talking to me face”). Excuse me that I am awkward and do not know how to talk to boys! Well that is all for now, have a happy Monday and I hope your weekend was great! Hey there! Long time no talk, it has literally been a little over a month since I have blogged. Slack attack I know! 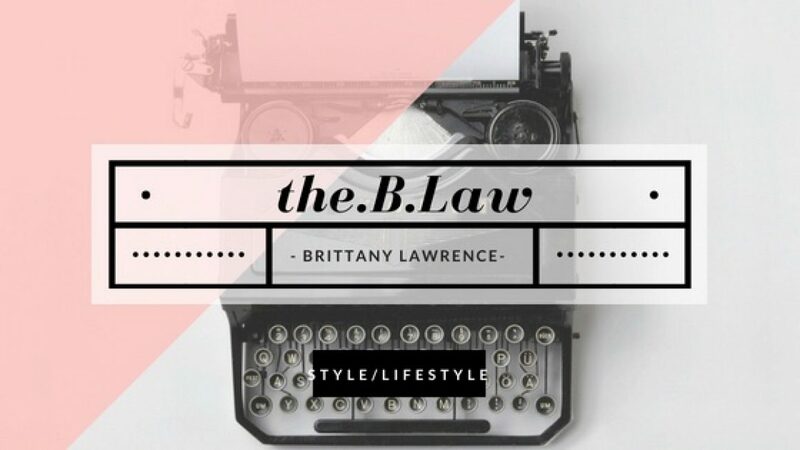 Life got crazy so I decided to just blog after it all settled down, I already had too much stress! So this is just a quick update on life. My last post Last HB Hoorah talked about my move from Huntington Beach. For the last month and a half I was living with my older sister, brother-in-law, and 3 1/2 year old niece. My niece and I were bedmates since she has a queen size bed (not purposefully, there was just an extra bed with our whole family). I slept with her and all of my clothes were in three boxes and hanging in the spare closet. I tried to keep my stuff as condensed as possible so I literally lived out of boxes for a month and a half. The bed situation sounds pretty nice, a queen size bed with a 3 1/2 year old, I should have all of the room that I want. WRONG! That girl owns that bed! I had no idea how much children move in the middle of the night, she put her feet on my face, turned completely horizontal, had her head against the back of my knees (that was a weird one), and must have been dreaming she was a whale because she emerged up and out of the covers and onto my face, all of this while sound asleep. I didn’t sleep straight through the night most nights, BUT I was so thankful that I was able to stay there with them, despite my sleep deprivation, I already miss them. Finally the time had come last week to go to Georgia to see my boyfriend’s Army graduation at Ft. Banning. I was so excited to see him since it had been 3 1/2 months since I saw him last. The graduation was fun, it was cool being in another state even if it was just for a couple days. The thing that amazed us the most was all of the trees! My boyfriend, his mom, sister, nephew, and I, all flew home last Friday and I finally had him back. Then last Sunday we signed the lease on our new apartment and moved in immediately after AND he went back to work this past Tuesday (we don’t mess around here!). So finally almost all of our boxes are unpacked. Unpacking is almost as bad as packing, especially when you move into an apartment that has HALF of the storage space you used to have. I might have to get rid of some more clothes! ;( But thats not official yet haha. Now that we are settled I am getting back into writing so please expect some more blogs! Thanks for sticking around!